It was one of the first memes ever, a viral sensation that went mainstream back when people still used dial-up internet. Yet the cameraman behind “Leeroy Jenkins” still seems stupefied that anyone fell for it. 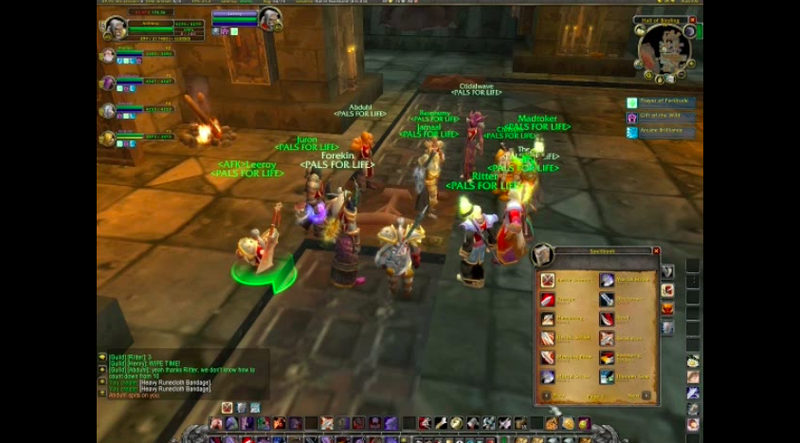 First posted on May 10, 2005, the now-iconic video shows a World of Warcraft raid group attempting to plan ahead for the Rookery encounter in the Upper Blackrock Spire. Stepping on any of the eggs in the Rookery will cause dragons to spawn, so this sort of care felt necessary. In the midst of their meticulous strategizing, a guy named Leeroy gets back to his computer, shouts the words “LEEROY JENKINS!” and runs headfirst into the Rookery, dooming them all. “Leeroy, you are just stupid as hell,” says one person after they’ve wiped. “At least I have chicken,” he responds. The video went viral before “viral” even hit our lexicon, making its way to TV shows like How I Met Your Mother, a segment on Howard Stern, and trivia shows across the world. Leeroy has been memorialized in World of Warcraft and even become a card in Hearthstone. And although most observers have suspected that the video was staged, this was before everyone had learned not to trust the internet. Vinson, an engineer at Kongregate, recorded the video. He said he and his guild—the wonderfully named “PALS FOR LIFE”—had made a number of other videos that didn’t pick up much traction (“even though we thought they were much funnier”) before they came up with Leeroy Jenkins. Shortly after they published the video, Vinson recalls it exploding. “We woke up the next morning and our friend had a nasty email from his ISP about having to shut down his server due to too much bandwidth usage, and at that point the video was already everywhere, it was out of our hands,” he said. This weekend, Vinson and Leeroy himself (real name: Ben Schulz) decided to release the first version they made of the video, which until now has never been seen. It’s similar, but has some key differences—“billions of dragons swinging at them”—and makes for a fascinating piece of gaming history. The moral of the story, as always, is to assume that everything on the internet is fake. And also, contact your legislators if you want to ensure that our fake internet actually survives.